Volunteers make up a huge component of our organization, from our Board of Directors to a Horticulture volunteer pulling weeds. Our 175 acres need constant care and attention, and our volunteer contingent helps us immensely by cleaning up our plant beds, planting bulbs and young plants, watering, mulching and so much more! But volunteering at Norfolk Botanical Garden is not only gardening – volunteers work in every department, inside and outdoors. Yes, there is lots of mulching and weeding done year-round, but volunteers also assist our administration team with paperwork, conduct retail transactions in our gift shop and event volunteers greet guests as they enter our visitor center! Families are welcome to volunteer together; the youngest family member must be at least 10 years old. Minimum age for volunteers working on their own is 16 years. We welcome students, scouts, or clubs who want to come out as a group for a special project. The ratio of adults to youth is 1 adult to every 5 youth, and the adults will work alongside the younger volunteers. Norfolk Botanical Garden policy prevents us from honoring court-related or court-ordered community service. For a list of organizations that do, please click here. To get started please email volunteer@nbgs.org and let us know what you are interested in! Are you a plant person? With over 175 acres and 65+ unique gardens, there are a wide variety of horticulture opportunities for volunteers here at Norfolk Botanical Garden. Interested in a particular type of plant? Work with our prominent collections of roses, hydrangeas, and camellias. Drawn towards a particular style of garden? From colonial style herb gardens to vast natural areas, there is something for everyone! New to gardening or just need some direction? No experience needed! Contact volunteer@nbgs.org to get started. Volunteer this summer in the Garden’s Butterfly House. Greet guests and answer questions about the native butterflies and caterpillars in the house. Butterfly House will be open from June – September. Volunteers will be outdoors in summer weather. Please come prepared for sunshine and high temperatures! Butterfly House Guides are proactive. Butterfly House Guides – smilingly – approach visitors and welcome them. They make sure that the doors are closed after people enter and leave the Butterfly House. Butterfly House Guides answer questions about the butterflies and plants. Guides direct the visitor to the appropriate resource for questions they cannot answer. Butterfly House Guides help all visitors have a safe and fun experience. Make sure all children enter and leave with parent, guardian ,or group. If a child is wandering without the parent, please stay with the child. If possible find out their name and/or age or where their parent was last seen. Some children may be too young to provide any information. Immediately radio all staff for assistance to locate the missing parent. To get started please go to https://nbg.volunteerhub.com and create an account. Afterwards register for your desired session. Only have weekend or evening availability? Join our special events volunteer team and out at our biggest events like the Plant Sale, summer festivals, and holiday programs. We are looking for outgoing and friendly volunteers to create a memorable experience for our guests! Description: Norfolk Botanical Garden is looking for a qualified intern to join our Adult Education team. Our Adult Education department provides quality educational programs for our guests, and seeks an intern who can participate in our Educational Docent Program in our Butterfly House. This intern should be prepared to work in a customer service-based environment, and will finish the internship having gained broad experience in various aspects of Biological Sciences; Education; Communications; Parks, Recreation and Tourism or related fields. the development and verbal/visual delivery of educational programs. the structure and functionality of a special event within the educational outreach and tourism industry. the collection, preservation and study of Virginia’s native butterfly population. Greet the guests entering the house and lead tours educating the public on the lifecycle of butterflies. Collect and preserve butterfly eggs for study, preservation and fostering. Assist the Volunteer Coordinator with recruiting and training volunteers for the Butterfly House. Assist Volunteer Coordinator with developing and maintaining Butterfly House educational program. Direct the visitors to the appropriate resource for questions you cannot answer utilizing a radio. Assist staff with planning and implementation for two special events: Butterfly Festival in July and Monarch Tag and Release in September. Requirements: Norfolk Botanical Garden is looking for an undergraduate student in the Hampton Roads area who is majoring in Biological Sciences; Education; Communications; Parks, Recreation and Tourism or related fields. This person should have excellent verbal and written communication skills, with heavy emphasis in customer service. Knowledge or interest of biological sciences is a bonus, and will be considered when choosing the best applicant for this internship position. Must be comfortable speaking to individuals and groups. Able to work outside and stand for the entire shift in high heat, humidity and light rain. Able to walk to and from the Butterfly House to the parking lot; approximately ¼ of a mile. Frequent bending, stooping, reaching and lifting up to 25 pounds required. Strong interest in butterflies and other pollinators. Dates: June 4th – September 24, 2017. Dates flexible to accommodate school requirements. Hours: Minimum 20 hours per week, weekend and evening work required. Description: Norfolk Botanical Garden is seeking a high energy, creative, individual to fill the full time position of Weddings & Special Event Intern. The position will assist with the planning and implementing of small and large-scale Garden weddings, events, corporate and social rentals and group sales that promote NBG as a top tier venue and attraction. This is a great opportunity in a highly competitive and exclusive job market! This intern should be prepared to work in a customer service-based environment, and will finish the internship having gained broad experience in various aspects of Hospitality; Marketing; Communications; Parks, Recreation and Tourism or related fields. Assist with weddings, corporate events, Garden events and group tours as directed by the Wedding Director. Provide coordination for and support all events and tours on or off garden grounds. Assist staff to ensure billing accuracy with the potential to learn the selling of venue amenities to potential clients. Maintain departmental consistency through the use of Altru event and client database, forms and contracts as well as organizational systems provided for the department. Attend weekly departmental meetings and appropriate logistical meetings with garden staff. Maintain detailed, accurate files in order to service guests, clients and the Garden in the most expedient and knowledgeable manner. Maintain an excellent working relationship with team members at all levels of the Garden to maintain professionalism and a positive working environment. Check and route incoming telephone and email inquiries as directed. Represent self and the Garden with the highest level of integrity and professionalism, a service focused approach with a positive and sincere attitude. Requirements: Norfolk Botanical Garden is looking for an undergraduate student in the Hampton Roads area who is majoring in Hospitality; Marketing; Communications; Parks, Recreation and Tourism or related fields. This person should have excellent verbal and written communication skills, with heavy emphasis in customer service. Knowledge or interest of special events planning, hospitality or sales is a bonus, and will be considered when choosing the best applicant for this internship position. A minimum formal high school education or GED with college degree or coursework preferred. Excellent communication skills both written and verbal, computer literate – prefer strong Microsoft Office proficiency. Warm, personable and energetic demeanor and professional attire is a must, exceptional attention to details. Must be able to work nights, weekends, long hours and consecutive weekends. Must pass a national and local criminal background check. Dates: Dates flexible to accommodate school requirements. Hours: Maximum 40 hours per week, weekend and evening work required. Shift: Varies Internship Duration: Duration flexible to accommodate school or personal requirements. The WOW Children’s Garden is a great place for teenagers to learn about nature, gain leadership skills, make new friends, and earn volunteer hours for resumes and college applications. The Leaders in Training program provides each teen with a NBG volunteer t-shirt, and allows the LITs to set flexible work schedules throughout the summer in the Children’s Garden. LITs are also encouraged to attend Thursday WOW Leader Meetings each week, which include leadership development games and horticulture activities. To REGISTER, please email volunteer@nbgs.org. Interested in bringing a group of volunteers out to Norfolk Botanical Garden? We are able to work with military, corporate, and school groups! Groups projects are often hosted on weekday mornings and afternoon, but also sometimes on weekends too. Most groups assist our horticulture team with various gardening projects such as mulching, weeding, planting, and cleaning. School, club or organization staff and/or parent chaperones must accompany and supervise the students/children at all times. Projects are selected at an age appropriate level and may include simple tools, such as trowels, rakes, glue, scissors, etc. For more information, please email volunteer@nbgs.org. 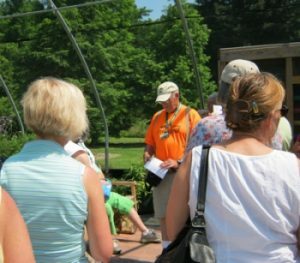 When you volunteer at Norfolk Botanical Garden, you gain a variety of valuable personal benefits. You can try a new field of interest or expand your existing skills doing something you love. You’ll also meet new people with common interests, feel good about yourself and improve your community.  *Admission to local museums is based on the individual policy of each museum.